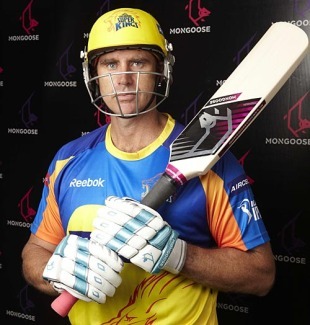 Matthew Hayden, the former Australian opener, has said it is practically impossible to completely eradicate corruption from the game of cricket. "The investment the game places in protection strategies to mitigate against corruption is minuscule compared to the vast geographic areas the game is played in and the level of illegal gambling activity," Hayden told the Hindustan Times. "It really is a runaway train." Hayden said the only the way to counter the threat of gambling was for every individual player and administrator to decide to personally uphold the integrity of the game. "We play a great game, and as players we are honoured to uphold its integrity as a product." Former Pakistan wicketkeeper Rashid Latif, who testified against some of his team-mates before Justice Qayyum's commission, said the ICC's Anti-Corruption and Security Unit (ACSU) was a toothless body that could not be counted upon to uncover fraud within the game. "The ACSU does not have the right to conduct raids or arrest people, what they only do is to ask players to avoid suspicious people." The ACSU was formed in 2000 in the wake of the match-fixing scandal that ended former South African captain Hansi Cronje's career. Its main purpose was to help ensure there would be no repeat of the Cronje case but Latif says it has largely failed in this regard. "These ex-policemen [ACSU officials] may have been very good in their field, but cricket is a different ball game altogether and only a cricketer can see an irregularity during a match."